INTERCHANGEABLE. 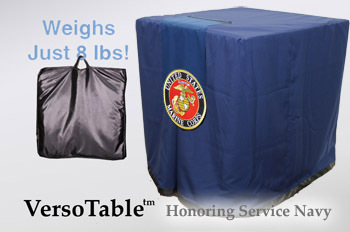 Honor their service with the included patches (Army, Navy, Air Force, Marines) or use the solid navy table cover on its own. You may also purchase optional emblems for more personalization. 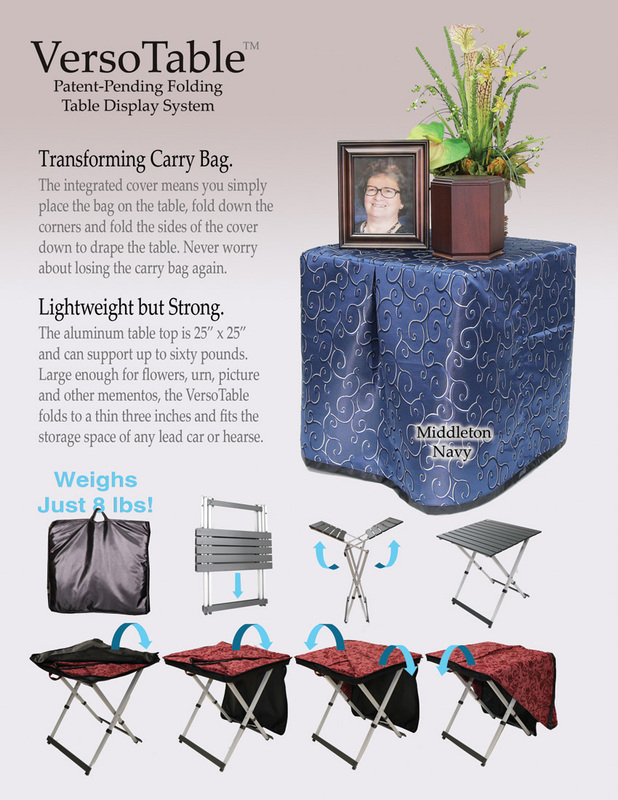 Additional selections include Masonic, Coast Guard, First Responder, Ohm, Star of David, and others.